DataFarming managing director, Tim Neale, says autosteer has been the success story of on-farm technology adoption, but the uptake of many other systems such as variable rate technology lag well behind. 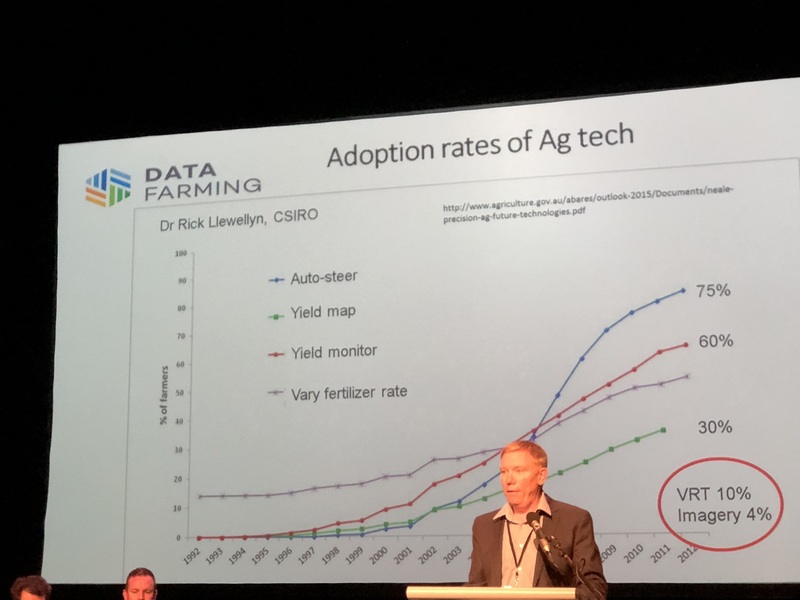 ON-FARM adoption rates of the latest ag technology will only increase if that technology is easy to access, simple to use and is a value proposition for the operator, according to DataFarming managing director, Tim Neale. 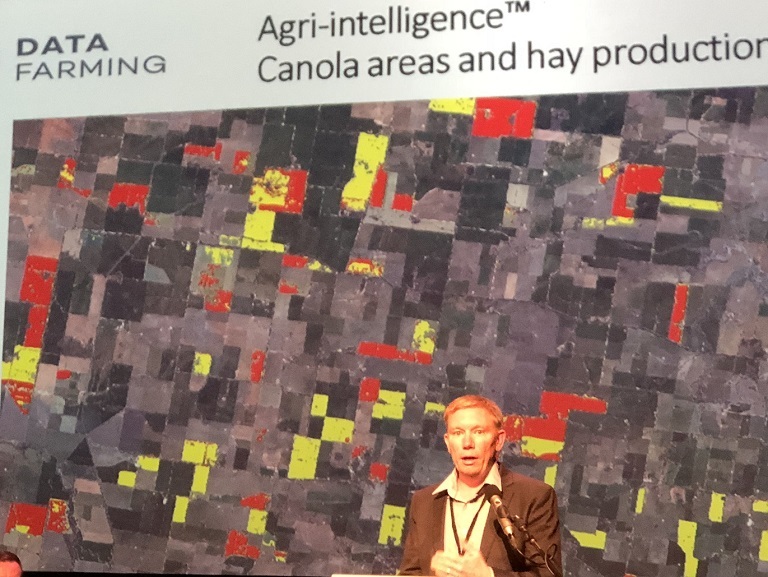 Addressing the 400M Ag and Food Innovation Forum in Toowoomba, Mr Neale said autosteer had been the success story of on-farm technology adoption, but the uptake of many other systems such as variable rate technology lagged well behind. “Autosteer adoption rates are now saturated in Australia and across North America where 75 per cent of people are using autosteer in some form in their tractors,” he said. “Things that are harder to do, a bit more complicated and not so easy to grab hold of, like variable rate technology and satellite imagery, have very poor adoption rates. Mr Neale said the underlying aim of DataFarming’s business model was to overcome the barriers to adoption by providing products that unravelled the complexity of accessing data and made it easily accessible for operators. “One of the products we developed 12 months ago was MVP (Minimum Viable Product). It grabs satellite imagery every five days and provides it to the user in an easy-to-use, simple format that is accessible from any connected device anywhere in the world,” he said. “It gives you an image of your crop or pasture as it grows every five days. It has had a tremendous uptake. Pitching his business to a ‘shark tank’ panel of investment experts at the 400M forum, Mr Neale said DataFarming had identified the key segment of the market they wanted to target was the agronomist adviser network, not farmers themselves. “I see a lot of companies going direct to the grower and bypassing the adviser, and I think that is a huge mistake. We are using the trusted adviser network to get into the market,” he said. In addition to focusing on the adviser segment of the market, DataFarming had developed a second part of the business called Agri-Intelligence which provided a higher level of regional scale and nationwide data sets. Satellite imagery analysis of where canola was grown in part of southern NSW this season. The yellow areas are canola crops; the red areas show canola that has been cut for hay. Mr Neale said another key tenet for encouraging higher technology uptake in agriculture was a focus on low cost, low entry point products. “We have 20 products in the pipeline to be developed by 2020. They will all be on a charge-per-hectare basis. There won’t be any ongoing subscriptions. Subscription models are a no-go zone in agriculture,” he said. “We will be going for a very low price per hectare which is a much better growth model for a business that’s developing software. Since its formation 12 months ago, DataFarming now has 6000 farms and 40,000 paddocks in the system, and has processed 3.9 million hectares down to a field level. While 90 per cent of users are in Australia, the company is on a path of global expansion. “We have just signed an agreement with some people in Canada to roll out in Canada; we have a company in the United Kingdom. We want to get global as quickly as possible because the products are scalable globally,” Mr Neale said.